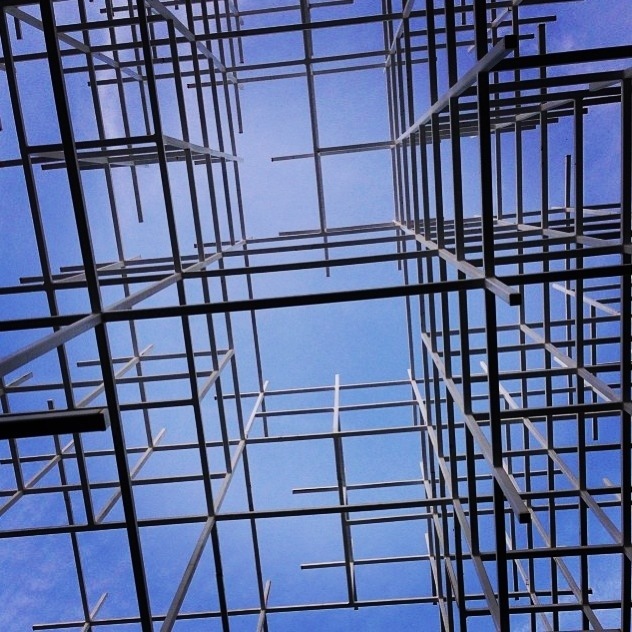 Sou Fujimoto Pavillion. | Monday's Child. 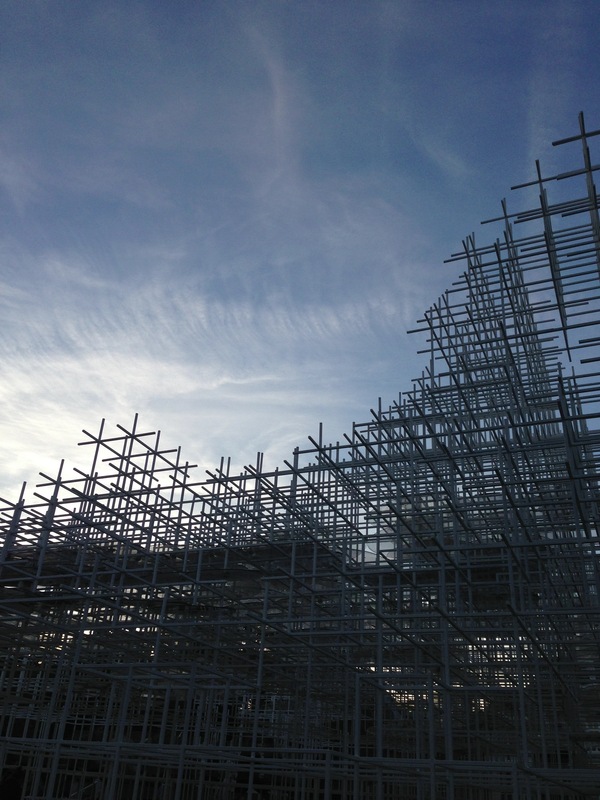 This weekend I finally got around to seeing the fantastic installation by Japanese Architect Sou Fujimoto at The Serpentine Gallery Pavillion. What I loved most about the structure was its unmistakable invitation to interact and use its space, be that sitting on it or crouching under to take photographs. The different angles and shapes meant that walking around and inside it you never quite captured the same view twice. The clean white lines meant that it stood out like a metal cloud from a distance, but up close it had a more cage like feel. It’s interaction with the sky & with it’s surroundings made it a real architectural delight. 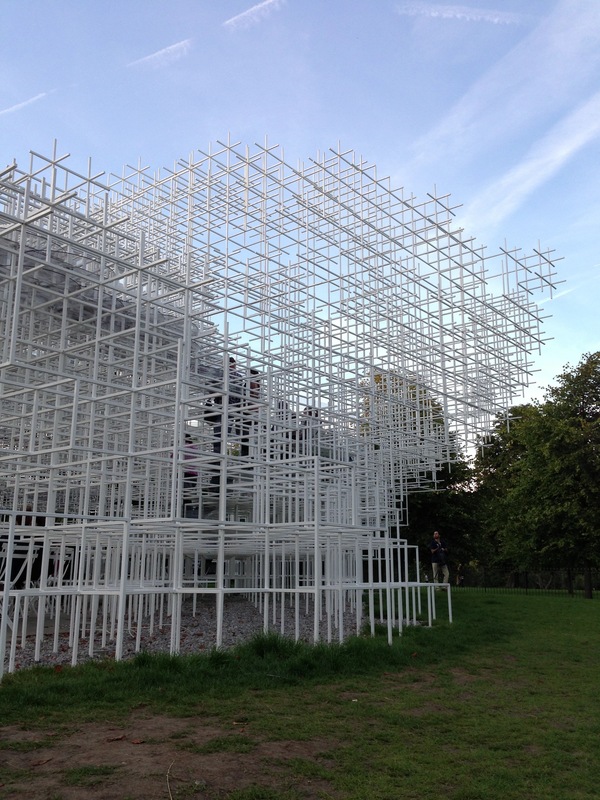 – you can find this beautiful piece of work in London until October 20th 2013. Click here for details. 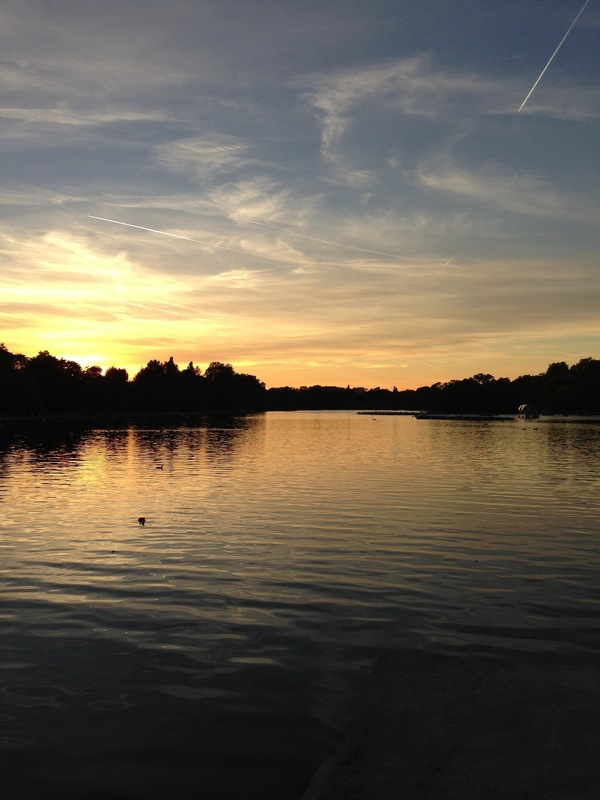 After viewing the installation we wandered over to the Serpentine bar & kitchen to view the incredible sunset, a beautiful Sunday evening sky to end the week.